At the end of this summer I was schooled by a scrappy, short-statured octogenarian on flycasting technique. It was none other than the man, the myth, the legend—Bernard “Lefty” Kreh. 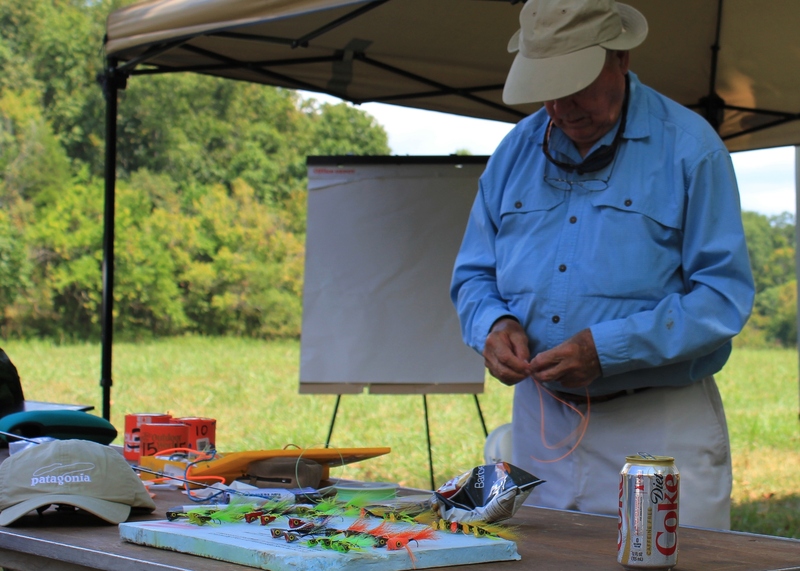 In a field on the banks of the Middle Fork of the Holston River in Southwestern Virginia, Lefty Kreh demonstrated flycasting techniques to a group of about 20 fishermen and women. 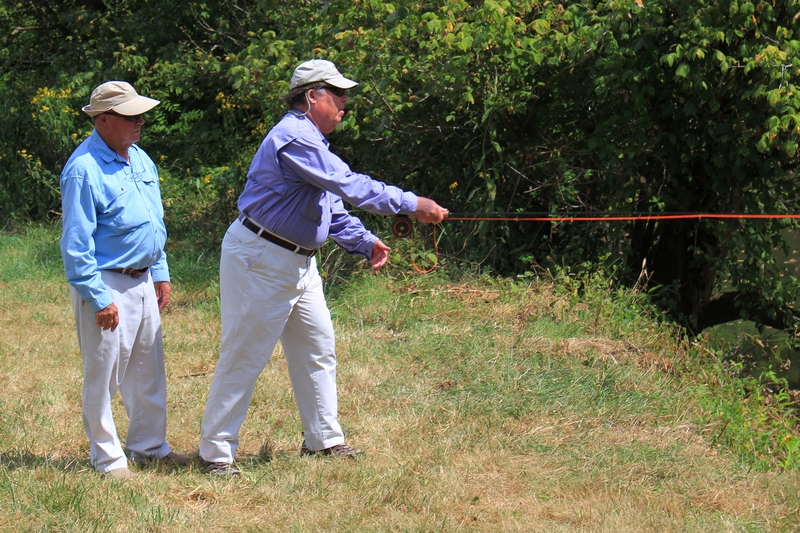 Lefty supervising flycasting technique to an experienced fly fisherman. If you are or have been seriously into freshwater or saltwater fishing of any kind in the last 45 years, you probably have heard of or run across Lefty Kreh. He has written a dozen books, written innumerable articles on all types of fishing in most every outdoor magazine, has his own fly, “Lefty’s Deceiver,” a famous saltwater fly, and even has his own line of fly rods. He is best known for his wealth of knowledge regarding saltwater fishing and fly fishing, especially flycasting. 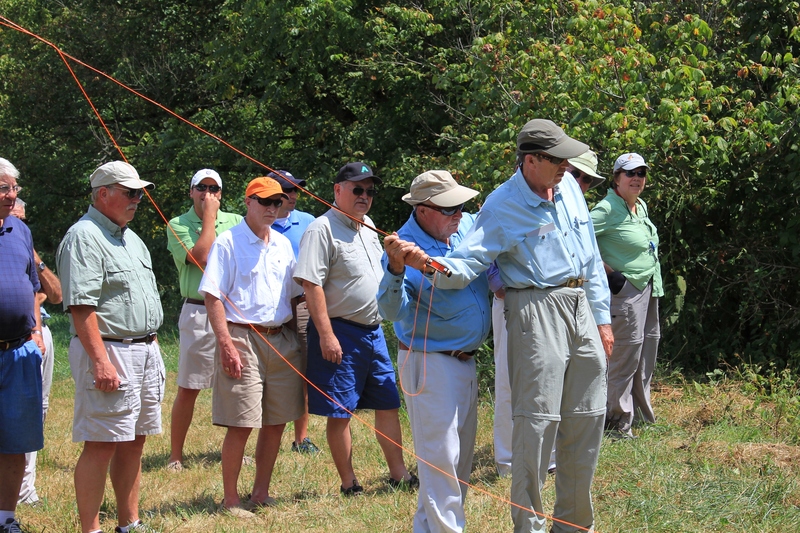 Lefty may have more knowledge about the dynamics of flycasting than anyone else alive. 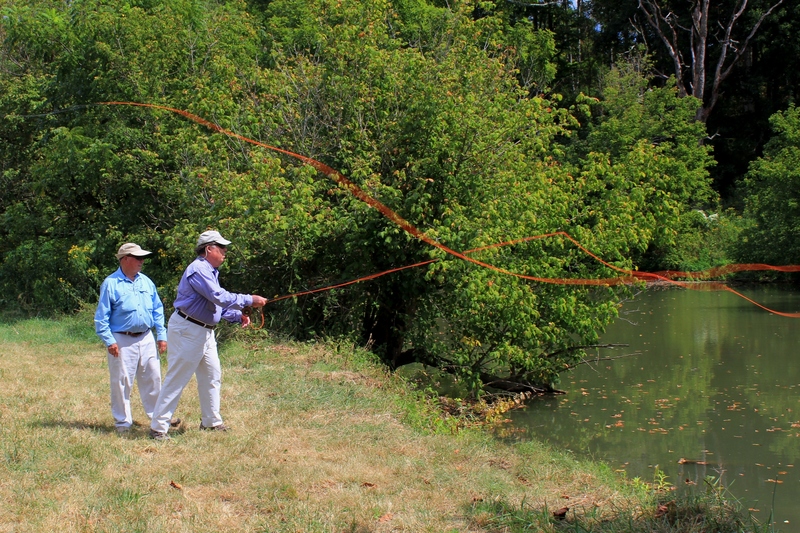 The man can cast a fly line 50 feet without a rod (with his bare hands), and he can cast a 5-weight fly line about 100 feet with just the top section (just about 1 foot) of a fly rod. His casting with a rod appears effortless, although he can explain the physics principles behind what he is able to demonstrate. Lefty taught us both roll-casting and traditional back-casting techniques. Lefty also showed us leader-tying knots, knots he has personally tested on his stress-testing machinery. “The machine doesn’t lie,” Lefty said. For example, the key to a good clinch knot or improved clinch knot? Six turns. Not five; not seven—six. True to form, while demonstrating how to cast a streamer with a sinking flyline, Lefty “accidentally” caught a 12-13 inch smallmouth bass while stripping the line back to demonstrate another cast. If you ever have the opportunity to meet this man, or get some lessons from him, or just hear some of his stories and be inspired that you can still enjoy the great outdoors with exhuberance after the age of 80 years, I highly recommend participating in one of his clinics or presentations. 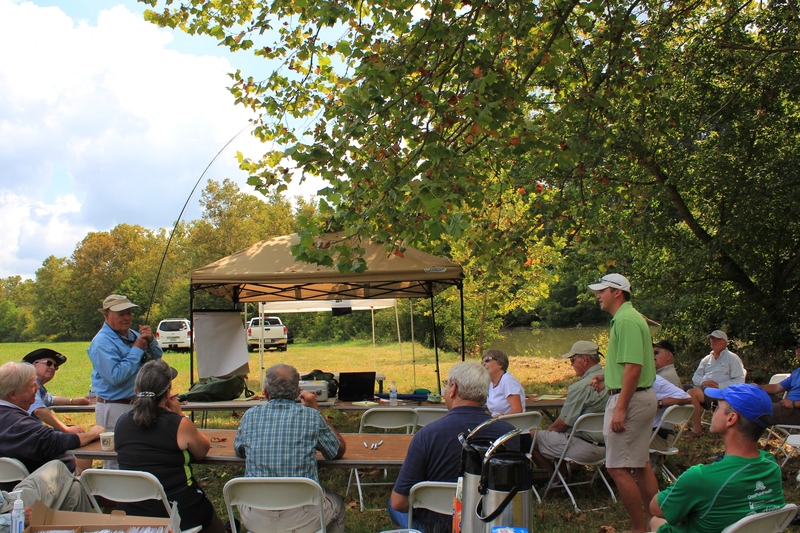 Special thanks to Chris Walters, fellow outdoorsman and fly fisherman, for inviting me to attend this special event. Previous PostTo the North PoleNext PostMerry Christmas 2012!